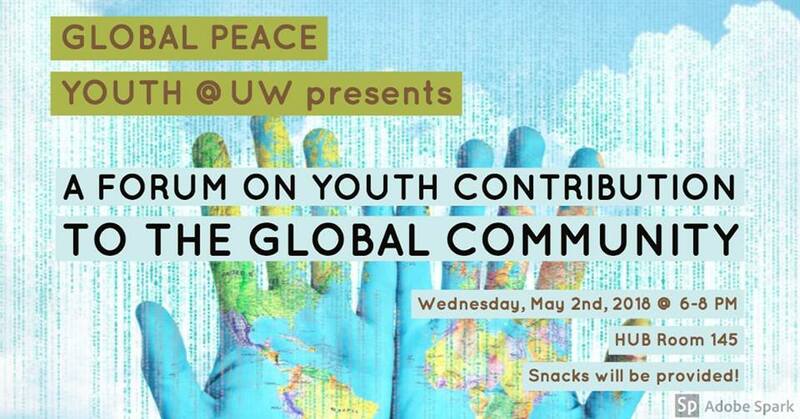 Join Global Peace Youth @ UW's platform for students to discuss why they're in college and how they can impact the world. Facilitators will be welcoming the experiences of college students in their journey to find their purpose in college, as well as how it can contribute to the global community. After a word from student speakers, there will be a Q&A and group discussion for attendees to share their experiences.